Below you fill find all funeral homes and cemeteries in or near Campbellsville. Suburbs of Campbellsville: Campbellsvlle, Finley. 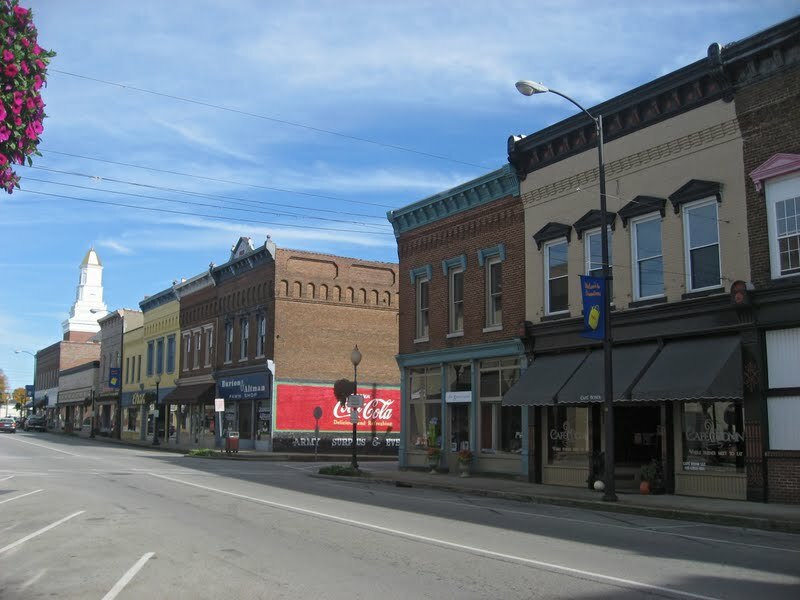 Campbellsville is also known as: Taylor County / Campbellsville city. Zip codes in the city: 42718, 42719. Taylor County funeral flowers can be purchased from one of the local funeral shops we partner with. Some of the notable people born here have been: John "Bam" Carney (teacher), Ricky Lee Cox (dentist), and J. B. Holmes (golfer). Campbellsville is in Taylor County, Kentucky, United States. The population within city limits was 10,604 at the 2010 U.S. census. It is the seat of its county,. Campbellsville is the home of Campbellsville University and borders Green River Lake. Campbellsville is twinned with Buncrana in County Donegal, Northern Ireland. It was reported on January 9th, 2019 that Marvelle J Beard (Jerde) perished in Campbellsville, Kentucky. Ms. Beard was 79 years old and was born in DeKalb, IL. Send flowers to share your condolences and honor Marvelle J's life. It was written on January 26th, 2018 that Nellie R Young (Hazelwood) died in Clearwater, Florida. Ms. Young was 89 years old and was born in Campbellsville, KY. Send flowers to express your sorrow and honor Nellie R's life. It was noted by The Beacon News on October 4th, 2017 that George Clarence Parker passed away in Aurora, Illinois. Parker was 69 years old and was born in Campbellsville, KY. Send flowers to share your condolences and honor George Clarence's life. It was disclosed by The Beacon News on June 23rd, 2017 that Ray Nelson Johnson passed away in Aurora, Illinois. Johnson was 74 years old and was born in Campbellsville, KY. Send flowers to express your sympathy and honor Ray Nelson's life. It was reported by Tri-City Herald on May 23rd, 2017 that Danita Marcia Wetle passed away in Kennewick, Washington. Wetle was 54 years old and was born in Campbellsville, KY. Send flowers to express your sympathy and honor Danita Marcia's life. It was disclosed by Statesville Landmark on February 7th, 2017 that Margaret "Sissy" Scott (Sapp) passed away in Troutman, North Carolina. Ms. Scott was 68 years old and was born in Campbellsville, KY. Send flowers to express your sympathy and honor Margaret "Sissy"'s life. It was revealed on November 4th, 2016 that Barbara Holstine (Beck) died in Leander, Texas. Send flowers to express your sympathy and honor Barbara's life. It was noted on November 4th, 2015 that Kenneth Harlan Alsager passed away in Campbellsville, Kentucky. Alsager was 88 years old and was born in Story City, IA. Send flowers to express your sympathy and honor Kenneth Harlan's life. It was written by Tampa Tribune on October 6th, 2015 that Douglas Lee McKinley died in Brandon, Florida. McKinley was 80 years old and was born in Campbellsville, KY. Send flowers to express your sympathy and honor Douglas Lee's life. It was noted by Sarasota Herald-Tribune on May 28th, 2015 that E Milton Cole died in Sarasota, Florida. Cole was 101 years old and was born in Campbellsville, KY. Send flowers to express your sympathy and honor E Milton's life. The population within city limits was 10,498 at the 2000 United States Census census. Taylor County, and Campbellsville Independent. There is one main private school; Kentucky Christian School for grades K-6. Campbellsville is also home to Campbellsville University. Campbellsville is twinned with Buncrana, County Donegal, Ireland. Campbellsville has two public school systems. The official website for the city of Campbellsville is http://campbellsville.us/. The Tri-County will be represented well Saturday when the Kentucky Middle School Football Final Four ... The Redhounds knocked off TK Stone, 39-6, Saturday in Campbellsville, as Tanner Powers had three touchdowns in the win for Corbin. Burial will be at North Pleasant Grove Cemetery. Friends may call from 5 to 8 p.m. today at the funeral home. Expressions of sympathy may take the form of contributions to Murray-Calloway County Hospital Hospice, 803 Poplar St., Murray, KY 42071. William Louis Higginbotham, died at home in Campbellsville, Ky. on Monday, October 18 ... Mississippi. The funeral service was held Saturday, October 23 at 3 p.m. at the Rogers Grove Baptist Church with Bro. Randy Anderson, officiating. Listing all funeral homes in Campbellsville, Kentucky so you can easily send flowers to any location (same day delivery) or find any funeral service. Funerals in Campbellsville, KY on Yahoo! Local Get Ratings & Reviews on Funerals with Photos, Maps, Driving Directions and more. Here is a list of Campbellsville funerals and memorials providers. We work with local florists and flower shops to offer same day delivery. You will find budget sympathy flowers in Campbellsville here. Our funeral flowers are cheap in price but not in value.